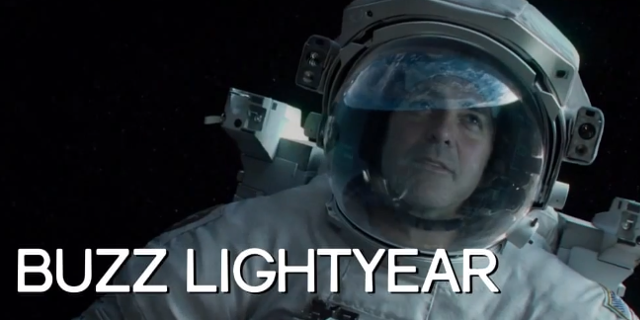 This trailer asks if the Oscar winning Gravity deserve the awards. Gravity cleaned up at the 86th Academy Awards with seven Oscars including Best Director for Alfonso Cuaron. But even the best movie has mistakes and the guys at "Screen Junkies" has managed to make yet another "Honest Trailer" that skewers the film. From the worst way to watch the film to "Shia LeBeoufing" this parody almost makes you wonder if it deserves the awards. What do you think of the parody? Does it change your mind about Gravity? On the edge of your seat, trying to hold in your barf. Yeah, I had to look away during the spinning scene. Buzz Lightyear, they should have cast Tim Allen! NASA should look into taking out FaceBook for real! Seems like a movie about our pessimism about the immediate future of human space travel. Because it be looking bleak, yo. Unfortunately that's largely a problem of poor communication on the part of the press, the space industry, congress and NASA. Everyone forgets there was a 6 year gap between the Apollo-Soyuz Test Project (last Apollo flight) and the first flight of Shuttle. Here we are 3 years after Shuttle retired, and we have not one, but three American-built spacecraft already making test-flights (SpaceX's Dragon, Sierra Nevada's DreamChaser and Virgin Galactic's SpaceShipTwo) and NASA's new capsule set to make it's first unmanned test flight later this year, with XCOR's Lynx spaceplane to follow soon after, two prototype commercial space stations (Genesis 1 and 2 from Bigelow Aerospace) already in orbit, and another set to fly to be installed as part of ISS next year. I think human spaceflight is doing just fine. Sorry to get all serious on an otherwise comedic post. Gravity was just another ludicrously over-blown excuse to show Sandra Bullock in her underwear, at 48 the bird is still reasonably tasty. Well said Geoff. I never thought about it that way before.